Foaming 24Hr Hand Purifier by Everest Microbial Defense keeps your hands 99.999% germ free for up to 24 hours per application. Conditions your skin leaving your hands feeling soft while it protects you from germs. It lasts all day - no matter how many times you wash your hands. Alcohol sanitizers poison germs & you! 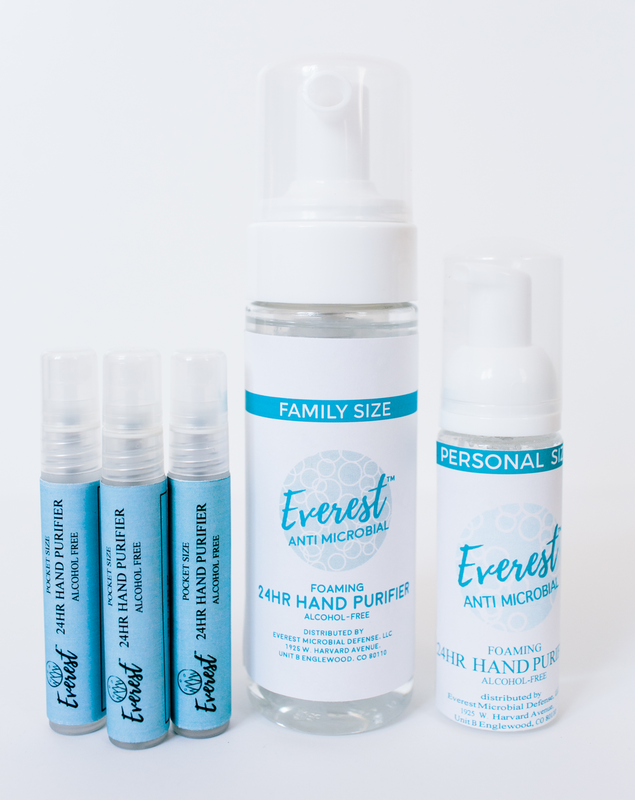 Click on the image above to see the results from an independent testing lab that shows 24hr Hand Purifier by Everest Microbial Defense is 99.999% effective on hands for up to 24 hours per application.